Out of a collaboration born in 2003, a trailblazing tech firm and an iconic design house have forged another functional showpiece. The LaCie Porsche Design Mobile Drive welds forward-thinking technology from LaCie with immaculate style from Porsche Design. It features reversible USB-C connectivity for next-generation computers as well as compatibility with those PC and Mac® computers with USB 3.0 ports. 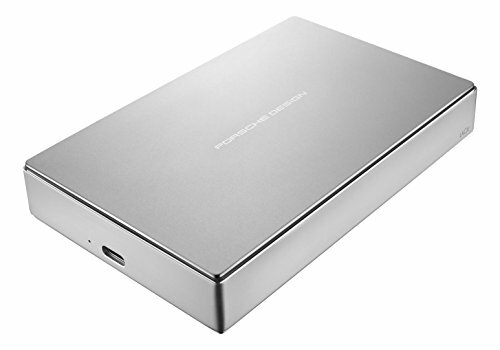 To store your past and future memories, the LaCie Porsche Design Mobile Drive also offers the highest capacity drives available. It also delivers speeds of up to 5 Gb/s1, so you can drag and drop files and perform backups quickly. With its minimalist, all-aluminum enclosure, this product is lightweight but also feels sturdy and substantial in your hands.